Steven A. Sless is Executive Vice President of Asset Services for The Woodmont Company where he oversees the Asset Services and Property Management divisions. Steven also directs specialty leasing and temporary tenant leasing throughout The Woodmont Company’s outlet center portfolio and enclosed regional mall portfolio. A 17-year veteran of the commercial real estate industry, Steve is a pragmatic real estate executive with a proven track record of leasing success, team leadership, staff recruitment and training. He has consistently delivered sustained revenue, new tenant deals, and tenant retention within major real estate companies. 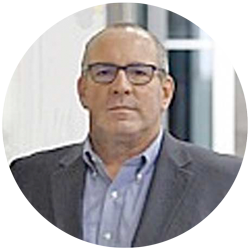 Steve’s strengths include deal structure and presentation, forecasting, negotiation, and financial evaluation. Prior to his current position at The Woodmont Company, Steve was a member of the Paragon Outlets team that spearheaded the redevelopment of the former Festival Bay Mall in Orlando into Artegon Marketplace, a 1.1 million square foot retail project on International Drive in Orlando, Florida. While on this team he managed the outside broker contracts, architectural development, and construction and legal resources. Prior to joining Paragon, Steve held executive leasing positions with Simon Property Group’s Premium Outlets division, and Prime Retail where he directed the specialty leasing/temporary tenant programs at outlet centers owned by Simon Property Group and Prime Retail, respectively. At Prime Retail, Steve’s tenure as senior vice president of specialty leasing led to an unprecedented 407% increase in center income over a consecutive six year period, resulting in revenue in excess of $65 million. Upon assuming departmental oversight in 2003, in the five year period from 2004-2009, Steve increased average “per-center” specialty leasing income from $107,000 to $534,000. While at Prime Retail, Steve also managed the public relations and investor relations departments, coordinating Prime’s annual reports, shareholder meetings, and acted as spokesman for the company.